Contact form is to be used for questions about business networking and business related inquiries. Also questions about the calendar listings. Anyone sending solicitations will be considered spam and it will be reported as such. Business Hours: By Advanced Apportionment Only. Please Call and Schedule. NOTE: Live link can be a website page, landing page, LinkedIn or Facebook event page. We need to have a full description of the event so out subscribers can make an informed decision about attending your event. We do not link directly to Eventbrite, Meet up, or any other events website. Your link must point to a website page, landing page, LinkedIn or Facebook event page first. The reason being we want (and you should to) drive traffic to one of your website pages first. You can have a link to any events website you wish on your qualifying pages. NOTE: Always check the website of the Promoter, Sponsor, Listing Agent that posted the event in order to verify the details have not changed. We are not always notified of changes made to our events listings. Our verification process is the website link of each event. It is the readers responsibility to verify the information supplied to us before attending any of the posted events. 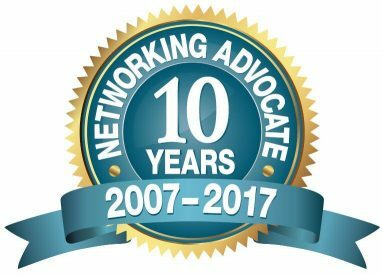 Contact Us: If you have question you can email events@NetworkingAdvocate.com or you can call Al Granger at 410.203.1113. We welcome your comments and suggestions.